He started his professional career at Akbank and later worked in various positions at companies such as Oyak Technology, Sony, IBM, and had experience in Agile transitions. His first Scrum experience was the Sony’s enterprise Scrum transformation in 2009. After experiencing the pilot Scrum teams while he was working as a consultant in IBM , he continued his career as an Agile coach & trainer, he delivered over 400 hours of Agile / Scrum trainings. In the beginning of 2015, he worked as an Agile coach in the transformation of PTT. He founded Training4Agile in 2016. He provided Agile transformation consultancy and training services to the various companies such as B/S/H Home Appliances, Hepsipay.com, Emlakjet.com, IBSS, Borusan Automotive, Ziraat Bank, Allianz Insurance, Garanti Technology, ETS Tur. 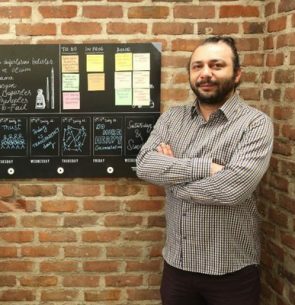 He is the first “Registered Education Provider” of Scrum Alliance in Turkey and he is the founder of the Open Agile Turkey Community.